Oh my goodness, I can’t believe it’s already the end of March! Where is this year going? As I mentioned in January, I have decided to participate in the UpperCase Reading Challenge. I am going to complete updates at the end of every 3 months to track my progress. Here are the ones I have met so far. I picked this book for book club in February, specifically because it was out of my comfort zone. I will preface this by saying that the overall concept, based on the summary, seemed within my realm of comfort, but the cultural side of it was not. Once I started reading, it became more apparent that this book was out of my comfort zone. I did enjoy it, and I’m glad that I read it, but it was hard to enjoy it fully because it was so different from what I read. I found this book because of the cover of Goo’s upcoming novel. 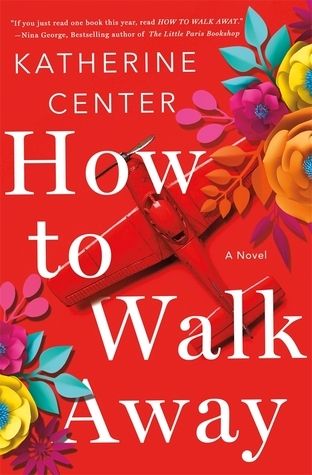 I checked it our right before the Olympics, and since the Olympics took place in South Korea, I found it fitting to read a book with a Korean protagonist. I loved all of the characters in this book. I have been trying in general to read more books with diverse characters and this was a great start. I have actually read so many of these the past few months (the above books included), so I decided to pick my favorite of the standalones that I have read the past few months, which is How to Walk Away by Katherine Center. I received a copy of this book for review and devoured it. It has some Me Before You vibes, but I liked it so much more. The characters were great and the story moved quickly from beginning to end. I highly recommend checking it out when it comes out May 15th. Before talking about the book, I thought I’d give a brief explanation of times I read reviews for books. The first reason is that it’s on one of the blogs I read/being talked about on Twitter. These are the books that end up on my TBR as recommendations if the reviews are solid. The second reason is I was asked to review a book and am on the fence after reading the summary. I will check out a few reviews on Goodreads and if they are positive, I will typically accept the book. The third reason is I’m in the middle of reading a book and am not enjoying the story or am having issues with the story, so I read reviews to see if people are having the same issues or if gets any better. The Coincidence Makers was a book I read for review, but was so intrigued by the summary, I didn’t need to read reviews to convince me to accept it. Once I started reading, I was so drawn in that I never felt the need to check for reviews mid-read. Those are the four items on the challenge that I have completed in the first quarter of the year. I have 6 more items left in the challenge and will provide another update at the end of June. I have an idea in mind for one of them, but if you have any recommendations for books that could fill the remaining challenges, I would happily accept them!